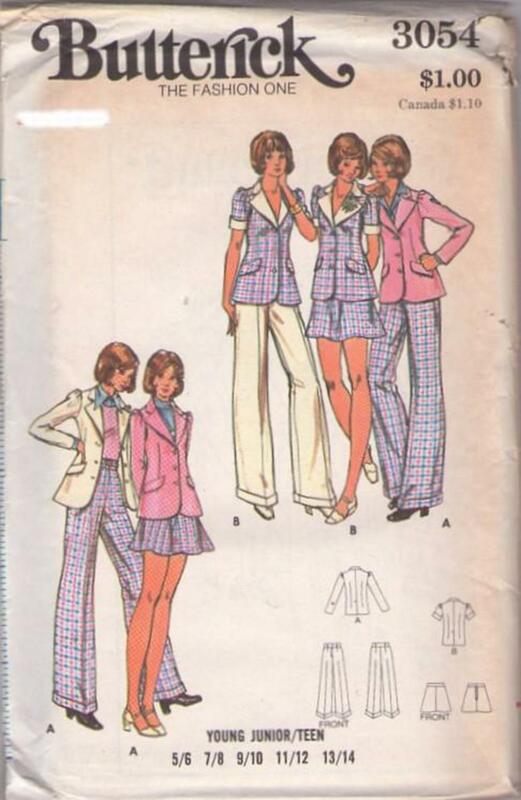 70s Office, Retro Separates Clothing Patterns - YOUNG JUNIOR/TEEN JACKET, SKIRT & PANTS. Semi-fitted blazer-jacket with optional lining has front button closing, self or contrast notched collar with wide lapels, short sleeves with contrast turn-back cuffs or full length sleeves with gathers at cap, pocket flaps, and back vent. Gored skirt has waistband and back zipper closing. Slightly flared, straight-legged pants, darted into wide waistband with narrow belt loops, have front zipper closing and cuffs. Purchased tops, shirts, and belt.